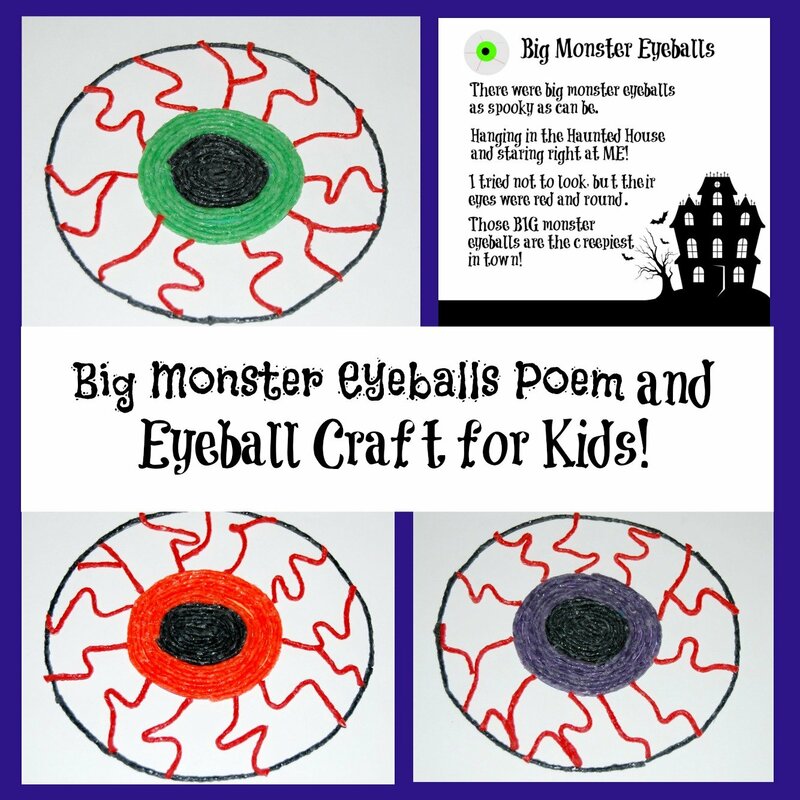 Big Monster Eyeballs Poem and Spooky Craft for Kids! Monster crafts can be spooky without being too scary for kids to create. 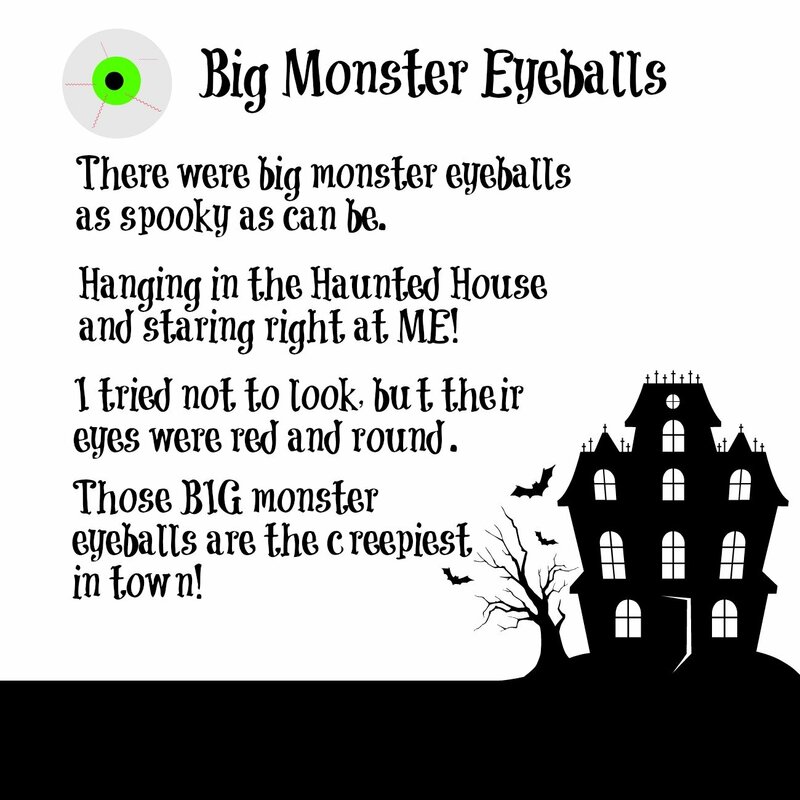 The Big Monster Eyeballs poem is a fun (and easy) poem for kids to chant while creating spooky monster eyeball crafts with Wikki Stix. Print the poem and set out supplies for a fun (and slightly spooky) Halloween playdate or party activity kids will love. One printable Monster Eyeball Template – print here. One printable Big Monster Eyeballs Poem – print here. Print and read the Big Monster Eyeballs poem to your kids several times. Kids will learn the rhyme quickly and be able to recite on their own. It’s a fun spooky rhyme for Halloween that’s not too scary for younger kids to learn. There were big monster eyeballs as spooky as can be. Hanging in the Haunted House and staring right at ME! I tried not to look, but their eyes were red and round. Print the monster eyeball template (linked above) and laminate for durability. 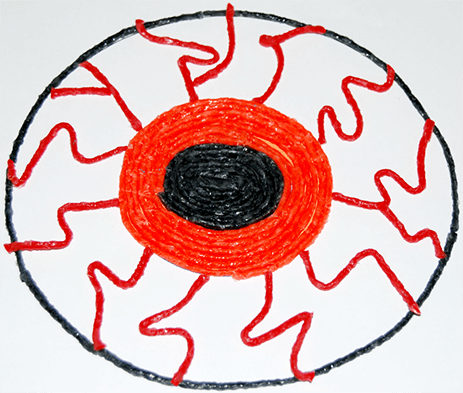 Kids can follow the printable monster eyeballs template to create their own Wikki Stix spooky monster eyeball craft. 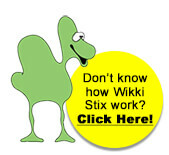 Any Halloween colors of Wikki Stix can be used on the template. Using the template as a guide, have kids use black Wikki Stix to fill-in the small black circle. The middle circle can be filled-in with purple, green, or orange Wikki Stix. 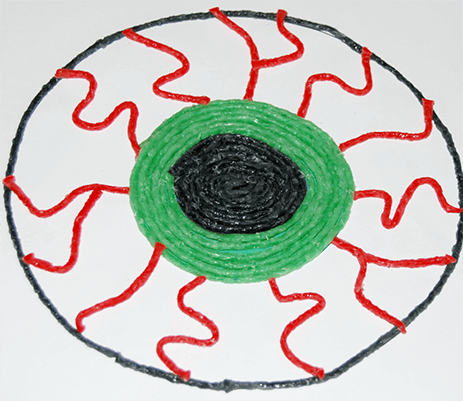 Use black Wikki Stix again to outline the outer circle of the eyeball craft. To create the bloodshot eyes, kids can cut various lengths of red Wikki Stix to place randomly inside the eye (see photos for suggestions). 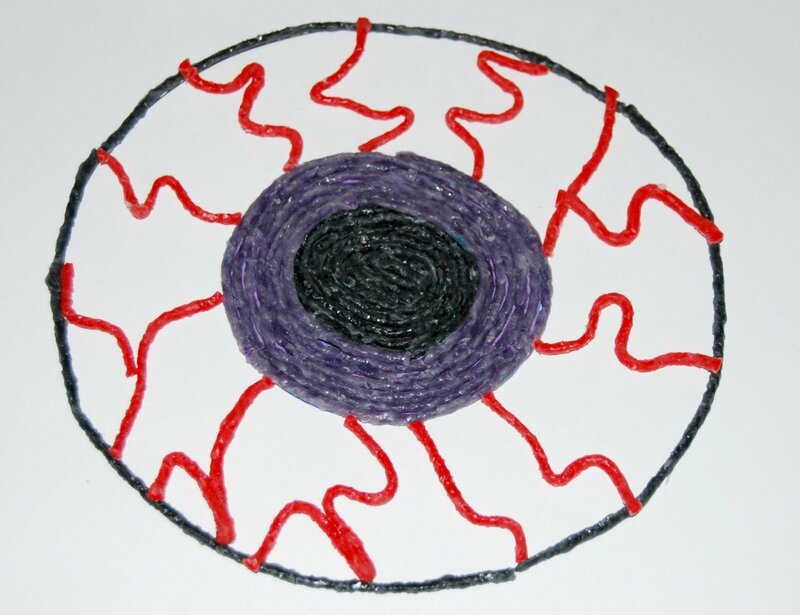 To hang the Wikki Stix spooky monster eyeball crafts, make a loop from an additional Wikki Stix and press the ends of the loop firmly behind the craft. The spooky monster eyeball crafts make great party crafts or make-n-take window decoration crafts for Halloween.